If you need secure, confidential workspace for a single person or a team as large as 50, a private office at Bond Collective is the solution. Bond Collective thoughtfully curates boutique shared office spaces that provide an unmatched experience. If you need secure, confidential workspace for a single person or a team as large as 50, a private office at Bond Collective is the solution. We even offer custom options and designs upon request if you need private offices for an even larger team. 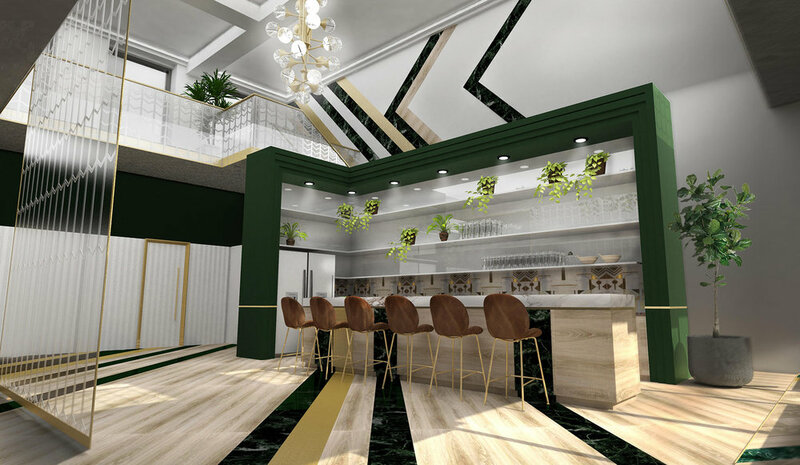 And if you’re looking to move away from the coworking model found at other temporary workspace locations, the private office space at Bond Collective 60 Broad is designed as a premium option for larger organizations. Each private office comes fully furnished with the latest in luxurious and professional furniture and decor, so you don’t have to worry about the comfort of your team or the image you present to clients and investors. Many of the respective private office units even feature their own exclusive conference room and executive suite. A private office at all of our New York, Brooklyn, and Philadelphia locations is designed to be a truly plug-and-play space. Conference room allocation starts at 12 hours per month and scales up based on the size of the office you choose. So, if you’re looking for a spacious, well-appointed room or rooms in a beautifully decorated building that will exceed all of your business needs, take advantage of our private-office service. Contact us today to discover how a private office at Bond Collective can help your company continue to grow. As one of Bond Collective’s largest spaces, 60 Broad totals approx. 40,000 square feet across the 24th and 25th floors with interconnected stairways for ease of access, and boasts expansive views overlooking New York harbor, including the Statue of Liberty, as well as the Financial District. This premium experience is designed with the executive in mind, featuring suites that include a built-in executive office or conference room. Nestled in between the Flushing and Myrtle Avenue M, J, and Z subway stops, Bond Bushwick bridges two thriving neighborhoods. Glass atriums enclose the central terrazzo stairway leading to expansive roof decks and flood all three floors with sunlight. Exposed brick and bleached wood floors create a completely unique work environment. 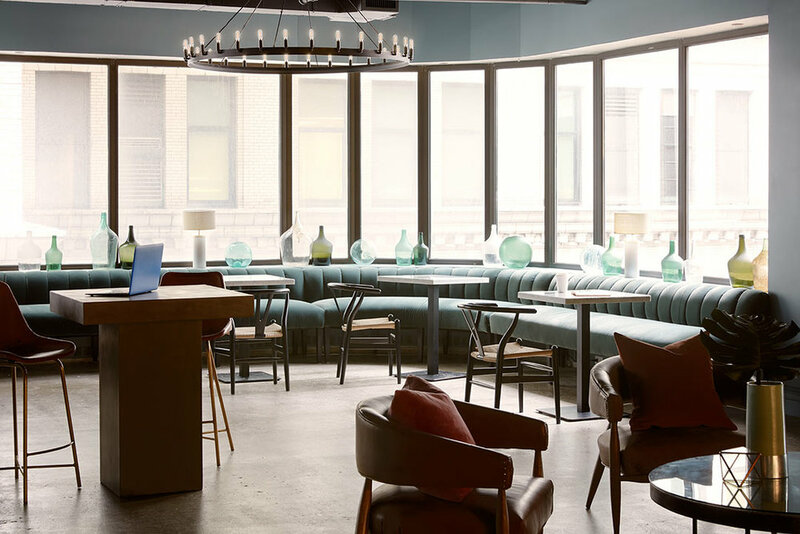 Bond Collective’s first space in the NYC Flatiron district (also known as Silicon Alley) serves as a hub for the surrounding community of creatives and innovators. Spanning three floors and more than 18,000 square feet, Bond Flatiron is home to tons of tech and media professionals and supports businesses of all sizes, from start-ups to established companies. Housed within an old tile factory, Bond Collective Gowanus boasts 47,000 square feet of innovation and creativity. Serving as a collaborative space for entrepreneurs and creatives within the production, media and tech industries (among others) the uniquely diverse Gowanus community also focuses on empowering parents and families in the neighborhood with its flexibility and perks. These include discounted babysitting services, a voiceover booth and production studio, two terraces and even amenities for dogs. Based in one of the most iconic buildings in Philadelphia, Bond Station House is steps away from the newly designed Love Park and directly above Suburban Station. Its convenient location, with direct access to major highways, makes commuting a breeze. Nearby, you’ll find The Shops at Liberty Place, City Hall, Reading Terminal, and an eclectic selection of restaurants. 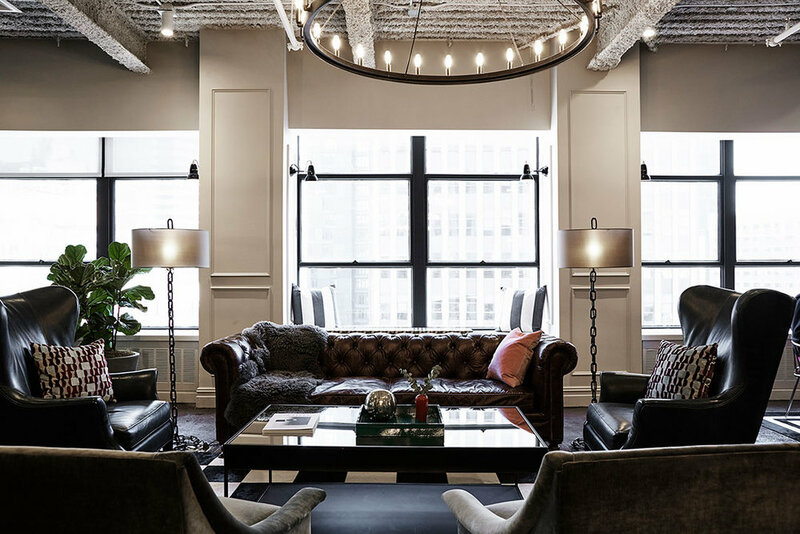 Newly renovated, Bond Collective's workspace at 55 Broadway equates to more than 20,000 square feet of sleek private offices and communal areas throughout the 3rd and 4th floors for individuals and companies of all sectors and sizes. Located just steps away from the Charging Bull at the heart of the Financial District, 55 Broadway’s premium aesthetic reflects the energy of the New York neighborhood.